Follies, I love this sort of architecture, and Glasgow is no laggard when it comes to boasting of a fine collection. So what's a folly in the first place? In a way, it's a structure that declares its folly status itself, a mad bit of building that makes no real sense, but delights all the same. Life would seem all the more drab if it wasn't there. Not the kinda philosophy Le Corbusier would have advocated, and all the better for it, I feel. In the City itself we have two gems in Glasgow Green, Templeton's Carpet Factory and the Nelson Obelisk. The Carpet Factory has been much documented on the forum already. Suffice to say, it looks like a medieval Venetian Palazzo plonked down in the middle of Glasgow. And it was a carpet factory!? Built in 1889 and designed by William Leiper. Due to its partial collapse killing 29 women in 1899, it has something of a checkered history. It has a fellow chunk of Italian factory folly structure in the shape of the ICI Warehouse in Tradestone Street. This was designed in 1900 by W.F. McGibbon who was inspired by the Bargello in Florence. Back in Glasgow Green we have David (Diddy?) 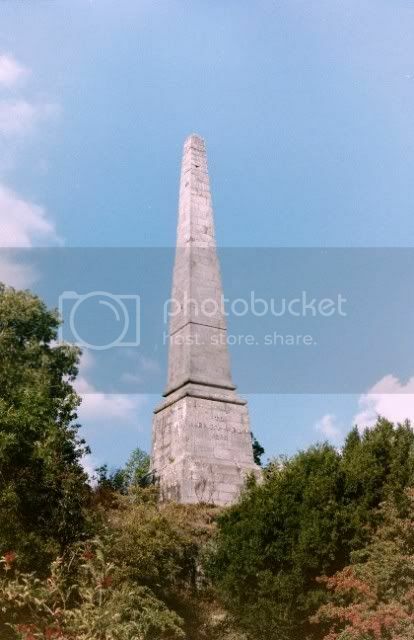 Hamilton's Obelisk commemorating Nelson, built the year after Trafalgar in 1806, one of a fleet of columns and obelisks built round Britain and the Empire in the wake of the Admiral's death. 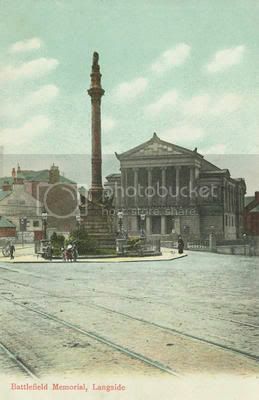 Other folly monuments include the Scott Column in George's Square, which performs the task of being Glasgow's equivalent of Nelson's Column in London, and the Battle of Langside Memorial Column in Queen's Park. Alexander Thomson often tottered towards folly design, but only really gets there in his dwelling at 200 Nithsdale Road, where he constructed “a residence suitable for a minor official in the court of Ramses II”. Haven't had a look myself, but apparently it's difficult to see today, due to a high growth front garden. Outside the city lies a wealth of batty buildings. Sticking with Columns and Obelisks, Helensburgh has the Bell's Obelisk, built in 1872 to commemorate Henry Bell, who built one of the first steam powered boats ever made. 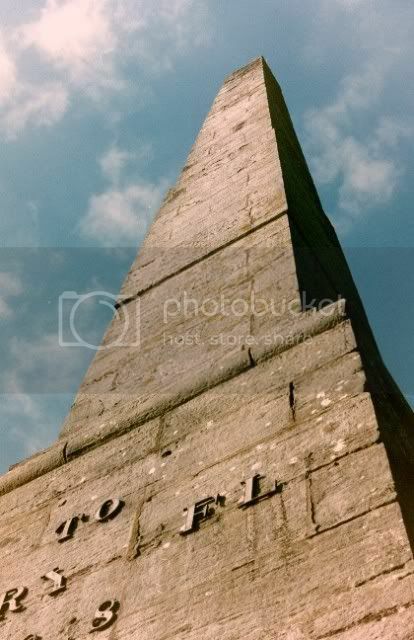 Renton has Smollet's Column, built in the late 18th century to commemorate local lad Tobias Smollett, author of THE EXPEDITION OF HUMPHREY CLINKER. In Crawford is another Obelisk built in the 19th century, commemorating, naturally enough, the Crawford family. Other, non phallic structures include the very striking Hamilton Mausoleum built for the Dukes of Hamilton just outside of you know where. Apparently it claims the record for the longest echo inside it's dome, which lasts for 15 seconds (St. Paul's Cathedral in London claims only 8 seconds). Also in Hamilton is Chatelherault, a long screen with four built in pavilions, made for the 10th Duke, began in April 1732. Incredibly enough, this large structure was basically a dog kennel for hunting hounds. The mutts didn't appreciate their palatial surroundings however, and the whole pack apparently went mad in 1739. Also in Hamilton is Cadzow Castle, which was a 15th century ruin turned into an “eye-catcher” in the 18th century. Another 18th century eye-catcher tower stands in Lochwinnoch, called the Castle Semper Prospect Tower, built by Captain William McDowell on Kenmuir Hill. At Rosneath is the 1802 Belvedere Steading, a Gothick eye-catcher designed by landscape painter Alexander Nasmyth. Milgavie also has it's 18th eye-catcher tower on it's golf course, known as “The Folly”. Finally, two monuments. In Carluke, the 19th Century Milton Head, commemorating the father of the ordinance survey, Major-General William Roy, and the Gothick 19th century Pollock Monument at Newton Mearns. This commemorates the Robert Pollock, who wrote the now forgotten THE COURSE OF TIME. Much of this info comes from Gwyn Headley and Wim Meulenkamp's indispensable tome FOLLIES, GROTTOES AND GARDEN BUILDINGS. It is however, like my post, a bit short on photo's, due to space. So any images and further info on the subject would be great. Also, I'm a bit puzzled by one of it's entries. They claim an Obelisk at Erskine Ferry, the Blantyre Obelisk, built in the the memory of the 11th Earl, who “had the misfortune to be killed in a riot in Brussels in 1830.” Is there such a structure in Erskine itself, or are they getting it mixed up with the Obelisk just outside Bowling? If not, what does the Bowling Obelisk commemorate? I remember it seems to be heavily fenced off. To all these mighty... erm... “erections” I salute you. Interesting post. Just to elaborate a wee bit on a few points, the Scott monument in George Sq was originally intended to be one of George III (who the square is also named after). Alas George never appeared perhaps for his embarassing madness (as he is famed for) or his the loss of the American colonies under his reign more or less spelling the end for the tobacco trade in Glasgow. Interesting also that you pick up on the phallic nature of a lot of these monuments but I would say the Hamilton mausoleum is too, albeit rather stunted. It remings me of the Hindu lingam which is phallic like stone (in much the same proportions as the mausoleum) used to make libations on. I'm sure there's also some hidden meaning to the shape of te mausoleum too, a sort of masonic representation of God as a male pahllus on the outside and the cavernous space inside representing the female? Perhaps. The mausoleum does hold some record for its echo, not sure of the specifics tho. It also has whispering niches inside at opposing sides, a whispering niche being one that you can stand in and whisper something and the person in the opposing niche can hear it. There's a thread, perhaps two on the Hamilton Mausoleum, have a search for them. 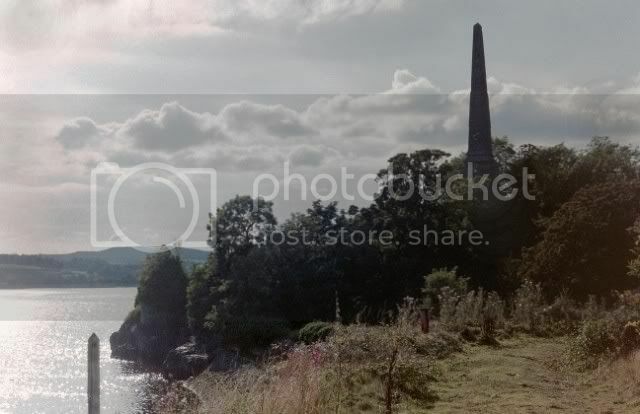 The obelisk at Dunglass Castle, Bowling, erected 1872, commemorates Henry Bell, who designed "the Comet", the worlds first sea-going steam ship and who was also Provost of Dumbarton. 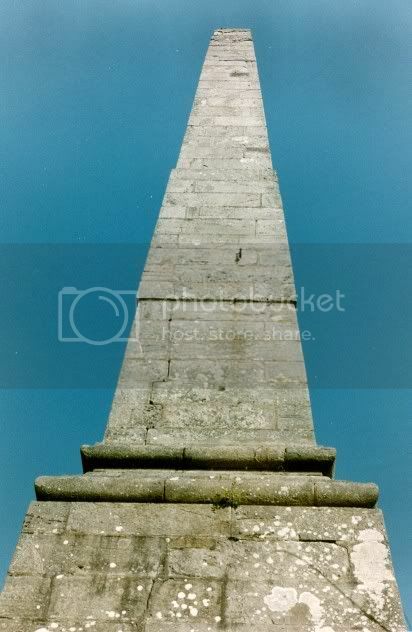 I have no idea about the Erskine obelisk tho, will see what I can dig up. One last thing, the Palazzo Ducale was built in the 15th Century, Templetons in the 19th. I think its faring alright. Templetons is also not the only building in Glasgow to mimic this Venetian Gothic masterpiece... any guesses? Having been inside both, I can safely say the opposite is true of the interior. Ah ha, so the Bowling Obelisk, like the Helensburgh one commemmorates Bell's The Comet. It's oviously one Headley and Meulenkamp need to include in their next edition then. I'll send them a note about it. crusty_bint wrote: One last thing, the Palazzo Ducale was built in the 15th Century, Templetons in the 19th. I think its faring alright. 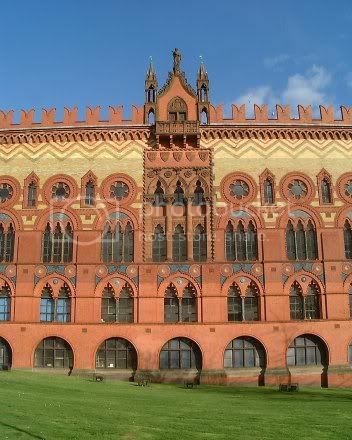 Templetons is also not the only building in Glasgow to mimic this Venetian Gothic masterpiece... any guesses? The only other one I can think of is the Stock Exchange building on the corner of Buchanan St. and Nelson Mandela Place. Here is a rather nice picture from TheGlasgowStory site. The Scott statue in George Square is a bit of a folly in the sense that he's wearing his plaid over the wrong shoulder. Having finally got a negative scanner I can share these with you (though I'm still learning whan it comes to colour balance as you can see). 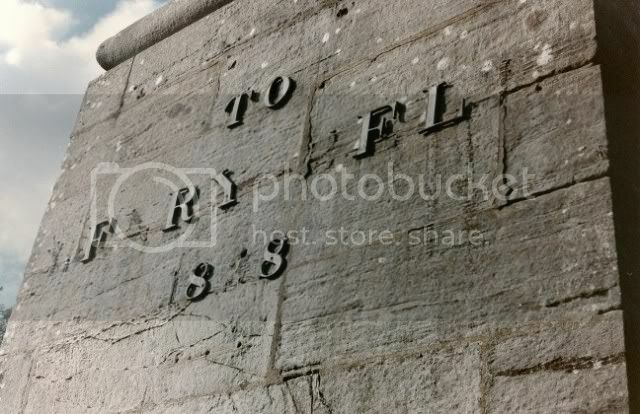 Back in September 2006 I paid a visit to the Bell folly in Bowling by doing a bit of urban exploration. It really is an imposing object when you get close up to it, standing on top of a hill in the grounds of Dunglass Castle, a bizarre ornament to have in your back garden. As I got to the top of the hill I scared the daylights out of a grazing bunny. There seems to be quite a little colony of them on this spur of land. The inscription is quite badly damaged, and I couldn't help noticing that as well as a rabbit at the base of the pylon lay an empty bottle of Buckfast. Yes, the neds get everywhere. View of the... magnificent erection from the Castle garden. 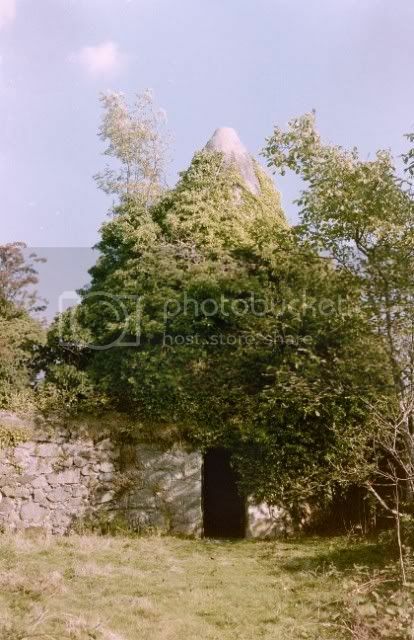 As an interesting side note, standing in the same garden is this conical cold storehouse, a fascinating structure in itself, and in grave danger of being destroyed by vegitation. Odd to think that it was in this same garden that Charles Rennie Macintosh was first introduced to his future wife Margaret MacDonald, according to one book I've read. Remind me sometime to tell you the story of the conical cold storehouse & the screaming rabbit. I like a story with a conical ending. HollowHorn wrote: Remind me sometime to tell you the story of the conical cold storehouse & the screaming rabbit. Did you take your mask off. 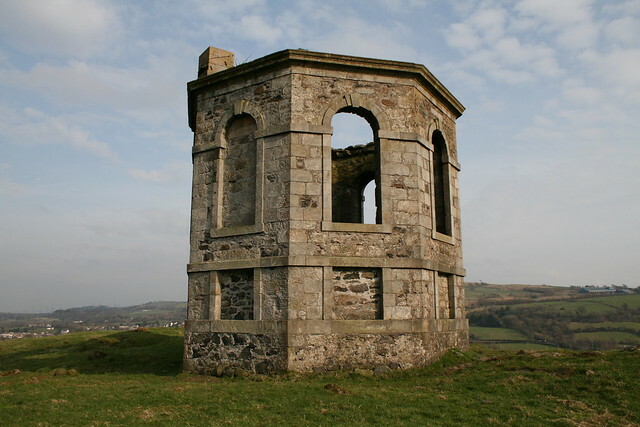 Elliston Tower on Kenmuir hill, Howwood.